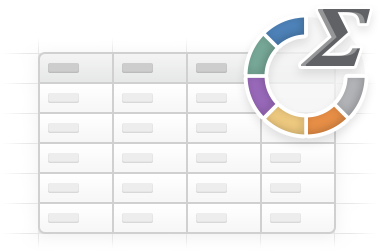 With Сount & Sum by Color app for Excel for Mac, you can easily sum and count cell data by the color of their background or font. The app is the fastest and easiest way to find Sum, Count, find Average, Max, and Min of color-coded cells. 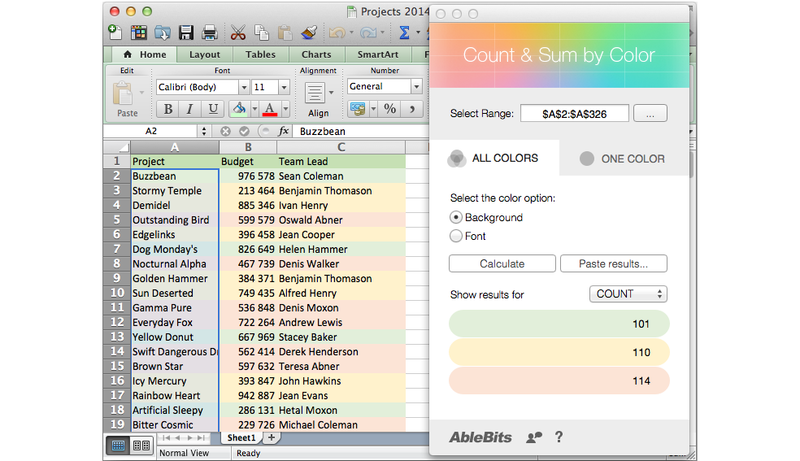 Sum and count all colored cells in Excel for Mac Use the All Colors tab to see the results of calculations for all highlighted cells - by the font or backgorund color. Sum and count by one background of font color Pick a cell and count and sum all cells of the same background of font color in your table with the One Color. What is Count & Sum by Color app for Mac? Say you have a large list with projects. The rows with projects given financing are green, those waiting for a reply from the sponsor are yellow, and the closed projects are red. You need to quickly count all projects in each group and sum the group's budgets for a weekly report. You can simultaneously count and sum green, yellow and red cells and see the results on the app's pane. Just select the table with your data, specify if you need to use the color of font or background, select the math operation and click Calculate. You'll see the results that you can then choose to paste anywhere in your table. 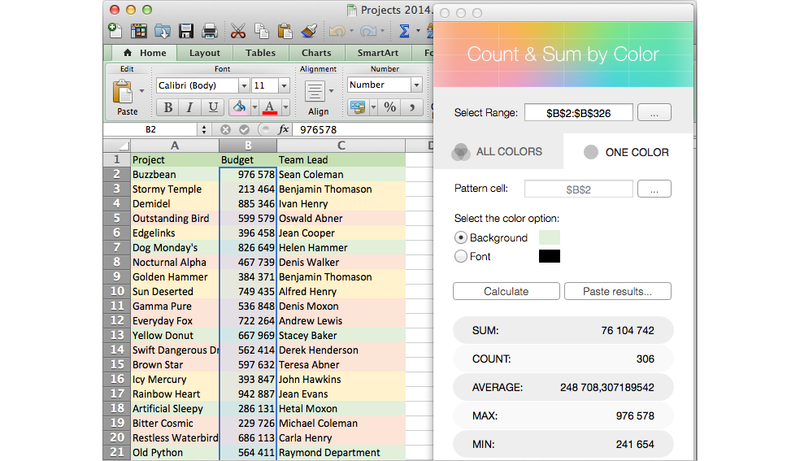 How to use Count & Sum by Color for Mac? If you use multiple different colors in your table and need to pick just one color for calculation, choose the One color tab on the app's pane. This tab lets you pick any cell with the needed font or background color in your table and see Sum, Count, Average, Min and Max for the identically highlighted values. It's really convenient since you don't need to know the code of the color, you just pick it from your list. You can also paste the result to your workbook for tracking purposes. Thus, the Сount & Sum by Color app for Mac will become your reliable assistant in dealing with highlighted cells.